Let's explore and discover teas together! I started this blog as an experiment in exploration to build and cultivate a palate for tea and chronicle my experiences over time. I started Teaity.com to help me consistently brew the best cup of tea. Now the site has over 8700 teas from nearly 500 brands and tons of reviews! Is The Teplo Worth Buying? GUEST POST: Why you should drink tea over coffee… a few benefits. We have all been inundated with fancy techno-centric tea brewing devices over the past few years. Not your average kettles seem to come out of nowhere to bring the "next best thing" to tea each time. And each time we are forced to evaluate our compunction for the thematic enjoyment of the tea brewing rituals we've come to know and love. It's a wonder then why these brewing devices keep coming out. Why release a product so similar to where others have failed? Why bank, as a startup founder: your savings; reputation and heart on something so seemingly doomed to failure? On the palate the hot infusion is relaxing on an otherwise stressful evening before America Chooses its future. Every Tuesday I will post a choice between two teas to drink and review. But I will only drink one. Whichever tea has the most votes is the one I will brew. But the choice is up to you. 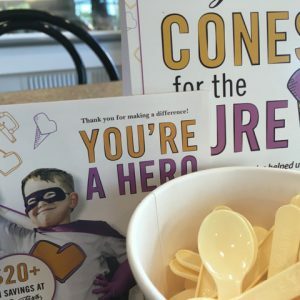 I'd like to draw your attention to Cones for the Cure, a charity collaboration between Cincinnati based Graeter's Ice Cream company and a children's cancer foundation called The Cure Starts Now. Recommendations for traditional tea drinkers in Britain used to their English Breakfast teas. Copyright © 2019 Tea-Guy. All Rights Reserved. The Matheson Theme by bavotasan.com.